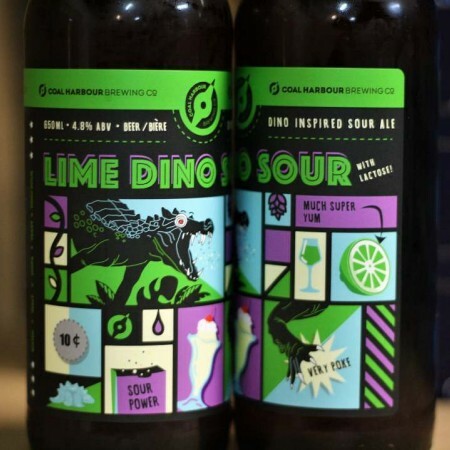 VANCOUVER, BC – Coal Harbour Brewing has announced the release of the latest in a series of beers inspired by its head brewer’s love of Dino Sour gummy candies. Lime Dino Sour is packed with fresh lime juice, lime leaf, and some gin soaked black limes to pucker your way to that citrusy goodness. Addition of a little bit of lactose helps to balance out the profile, while adding some extra nice mouthfeel. Lime Dino Sour is available now in 650 ml bottles at Coal Harbour and select private liquor stores while supplies last.